NY: Universe Books, 1997. 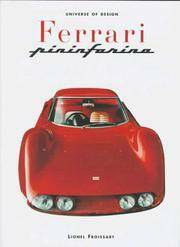 Bound in black cloth, stamped in gold in bright white dust jacket that has a picture of a red Ferrari on the front panel. An 80 page books -- great illustrations. . First American Edition. Hard Cover. Very Good ++/Very Good ++. MI: Olds Motor Co., 1938. In newspaper format, printed in sepiatone. A 8-page advertising piece. Measures 16" X 22" unfolded. One middle fold. An unusually nice copy for being a 80 year old advertising piece. Incredibly scarce. The middle fold out shows all of the models for 1938. . First Edition. Soft Cover. Very Good +/No Jacket. Newspaper Format. MI: General Motors, 1969. 18 pp. color brochure that has adds for the Corvette, the Camaro SS, The Impala SS427 and the Chevelle SS396. Interspersed with a few articles on college football. Great condition.. First Edition. Soft Cover. Near Fine/No Jacket. 12mo - over 6¾" - 7¾" tall. Pamphlet. UK: Brookland Books, 1970. Bound in stiff green wraps with a picture of a Morgan on the froont panel. A 66 pp. book on the history of the great British cars. Lots of photos, road tests. . First Edition. Soft Cover. Very Good +/No Jacket. Illus. by Photo Illustrated. 4to - over 9¾" - 12" tall. England: Auto Car, 1978. Bound in stiff illustrated wraps . . . this is a great two volume set on the history of the MG cars in the UK. 68 pp / 96 pp. Color and black and white photos and a few advertisments at the end of each book. Great detail. . First Edition. Soft Cover. Very Good +/No Jacket. Illus. by Photo Illustrated. 4to - over 9¾" - 12" tall. Detroit: General Motors, 1957. Tri-fold glossy sheet -- giveaway from the car dealer -- pictures examples of all models of the 1957 Chevies. Tight, clean copy, now protected in mylar. . First Edition. Soft Cover. Very Good +/No Jacket. 21" X 29". Brochure. Tampa: Spyder, 1979. Bound in stiff black and white wraps. A 64 pp. book on how bypass and remove locked ignitions on most U.S. models of cars. Scarce (only 11 copies on OCLC) -- important book for the right person. . First Edition. Soft Cover. Very Good +/No Jacket. 8vo - over 7¾" - 9¾" tall. UK: Austin Healey, 1959. One large sheet 16.5" X 18" folded into a four page color brochure for the 1959 bug eye Sprite. Dealer's stamp to front panel. Overall a tight, clean colorful brochure. All photos show the steering wheel on the right (the British side). Scarce in this protected condition. . First Edition. Soft Cover. Near Fine/No Jacket. Illus. by Photo. Oblong 4to. Dayton: Auto Electric Systems, 1915. Bound in dark blue wraps, stamped in black. A 111 pp. book on Auto Electrical Systems back in the early days of Automobile manufacturing. Scarce -- only 2 copies on OCLC.. First Edition. Soft Cover. Very Good ++/No Jacket. 8vo - over 7¾" - 9¾" tall. Dayton: Auto Electric Systems, 1915. Bound in light green stiff wraps, stamped in black. An 80 pp. 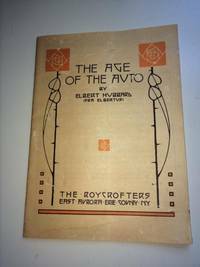 book on Auto Electrical Systems back in the early days of Automobile manufacturing. Darkening to extremes and one dark spot to top of front panel. . First Edition. Soft Cover. Good +/No Jacket. 8vo - over 7¾" - 9¾" tall. Dayton : Auto Electric Systems, 1915. Bound in dark blue wraps, stamped in black. A 62 pp. book on Magnetos back in the early days of Automobile manufacturing. The scarcest book in the series. . First Edition. Soft Cover. Very Good ++/No Jacket. 8vo - over 7¾" - 9¾" tall. Minnesota: Motor Books, 2010. Bound in pictoral glossy wraps; shows very minor rubbing to lower page edges and is in otherwise near-fine condition. Illustrated throughout volume. 240 pgs.. Reprint. Soft Cover. Near Fine/No Jacket. 7 1/2" X 9 1/2". New York: Golden Press, 1960. Bound in pictoral wraps; shows some darkening to edges, occasional overall rubbing and wear to extremes. 176 pgs. Still, tight and clean.. First Edition. Soft Cover. VG+/No Jacket. Illus. by SPIER, Peter and KOTSCHNIG, Enid. 5" X 7 1/2". NY: The Roycrofters, 1910. Bound in tan wraps, stamped in orange and black. This is an undated (probably 1920's) reprint of the 22 pp. work that was originally penned in 1910. Some minor insect damage primarily to back panel (not affecting any text). Scarce (only 12 copies on OCLC) early reprint of this work. . Reprint. Soft Cover. Very Good/No Jacket. 16mo - over 5¾" - 6¾" tall. U.S.A.: Beekman House, 1990. Bound in tan cloth, stamped in silver. A great book on the autos of this period. 240 pp. with advertisements, schematic drawings and great pictures. A quality publication. . First Edition. Hard Cover. Near Fine/Very Good +. 4to - over 9¾" - 12" tall. U.S.A.: Beekman House, 1980. Bound in tan cloth, stamped in silver. A great book on the autos of this period. 240 pp. with advertisements, schematic drawings and great pictures. A quality publication. . First Edition. Hard Cover. Near Fine/Very Good +. 4to - over 9¾" - 12" tall.